Arizona Gov. Doug Ducey has repeatedly presented his most recent budget proposal as restoring recession-era cuts to K-12 education, when in reality, it doesn’t even restore the Ducey-era cuts. The governor’s $10.1 billion budget proposal for fiscal year 2019, which begins in July, represents a spending increase of $315 million from the current budget, including $190 million in discretionary K-12 spending increases. His marquee policy item, and single largest discretional increase in education spending, is an additional $100 million in capital funding known as District and Charter Additional Assistance, which district and charter schools can use to cover everything from textbooks to school buses. In 2015, his first year in office, Ducey cut District and Charter Additional Assistance to the tune of $116 million — a cut he has never restored. District and Charter Additional Assistance was once one of the main funding sources school districts and charters tapped to pay for ongoing maintenance needs — fixing air conditioning units, repaving parking lots, repairing busted pipes and buying classroom supplies like textbooks, computers and desks. But when the recession gripped Arizona, lawmakers slashed that funding in 2009, and continued to cut it through the administration of former Gov. Jan Brewer. By law, school districts and charters are supposed to receive a certain amount of District and Charter Additional Assistance from the state based on student enrollment. In three years of Ducey’s governorship, schools have missed out on more than $1 billion that they were entitled to under that funding formula. Ducey authorized $348 million worth of that $1 billion cut. The other reductions were made before he took office, but continued under his administration. Ducey’s 2019 budget proposal came with a promise to, within the next five years, restore District and Charter Additional Assistance to roughly the same level it was a decade ago. But it will never come close to restoring the more than $2 billion of District and Charter Additional Assistance funding that schools lost since 2009. Ducey spokesman Daniel Scarpinato acknowledged that neither the budget proposal, nor the five-year plan, would return all the money schools have missed out on over the last decade. “We can’t go back. All we can do is deal with what lies ahead. So what we want to do is get that number back to what it would be had those reductions not been made. This plan does that,” he said. He noted that school groups are suing the state for back payments on capital funding that they missed during the recession. And while the administration has called on those groups to end the lawsuit in light of the governor’s proposed increase to capital funding, the legal battle continues. Critics say Ducey’s budget and the talking points surrounding it conform with the pattern he has created since becoming governor. The governor has repeatedly cut funding, then taken credit for partially restoring it — as he did when he slashed JTED funding by $30 million in 2015 and proposed restoring $10 million over three years starting in 2016 (lawmakers went higher and restored $28 million in 2016). And Arizona school finance gurus say while the budget is an undeniable increase in K-12 education, it’s far too little to solve schools’ capital funding problems. Scarpinato said the governor is doing what he can with available dollars, and noted that the vast majority of the new spending in the governor’s budget is targeted to K-12. He said if revenues increase in the future, the governor will invest those funds into education as well. He said that critics who argue that the governor is taking credit for restoring cuts he made seem to be forgetting the financial mess Ducey inherited, when the state was facing a projected shortfall of $1 billion. “Look, we came in with a billion dollar budget shortfall. The budget is now responsibly and structurally balanced, which allows us to make investments. And this is where we’re going to make the investment going forward, because it’s the right thing to do and it will make a difference for schools,” he said. School districts are still grappling with what the governor’s budget proposal will mean to them — if it becomes law. That isn’t a sure thing, as the governor’s budget proposal is predicated on higher revenue projections than the Legislature expects, and lower student population growth than the Legislature estimates. Tucson Unified School District Superintendent Gabriel Trujillo estimates that TUSD has lost about $150 million in capital funding over the last decade. This year, the formula entitled TUSD to nearly $22 million in District and Charter Additional Assistance. But due to the cuts, the district only received a little more than $3 million. Because of the cuts, the district has postponed basic maintenance that would ensure kids are safe, like replacing old school buses that are dangerously hot with ones that have air conditioning, fixing playground equipment that isn’t up to code or adding keyless entry systems to schools to ensure only parents, teachers and students can get in. “It’s not safe to have children riding on buses that don’t have AC. It’s not safe to put a bus out on the road that has 300,000 miles on it to begin with. It’s not safe to have kids in portable (classrooms) where we have HVAC systems that are failing. It’s not safe to not have adequate fencing to keep out potential intruders. It’s not safe in the era of so many school shootings to not have airtight keyless entry systems,” he said. And replacing technology like computers “came to a screeching halt” for most of TUSD’s schools during the recession, he said, creating an inequitable system where magnet and high-poverty schools have been able to use other funds to pay for newer technology while other schools have been unable to upgrade. “That’s the sad part of this story — the opportunities lost to kids and programs,” Trujillo said. 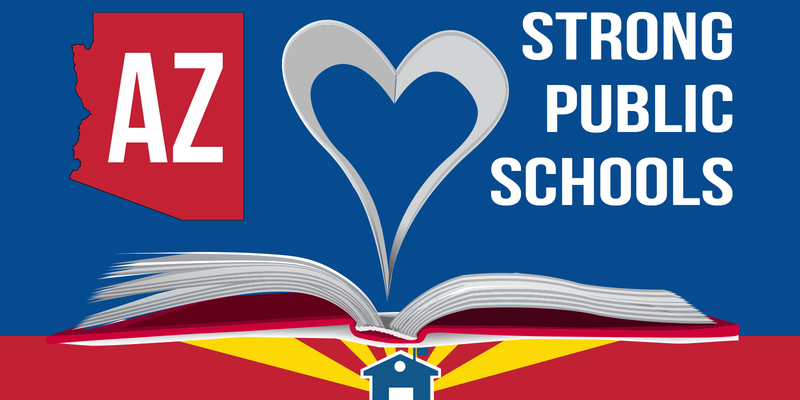 TUSD is slated to receive $5.2 million in the first year of Ducey’s budget proposal and roughly $19 million in 2023, based on Ducey’s five-year promise. Trujillo said with the extra $5.2 million he could replace a few buses and a few air conditioning units. “By the time we address those issues, that $5 million is probably gone,” he said. Trujillo said while the governor’s proposed increase is an improvement, it is not a full restoration of recession-era cuts. “To me, a full restoration means saying, ‘School District A, you lost $140 million in capital cuts since 2009. So we’re going to chunk out $50 million payments over the next three years.’ That, to me, is a full restoration,” Trujillo said. Flowing Wells School District Superintendent David Baker said his district has lost out on about $25 million in capital funding that it was owed since the recession. This year, the district received just $360,000 in District and Charter Additional Assistance, though by formula it should have received $2.6 million. He noted that several of his school buildings were constructed in the 1950s and 1960s and need serious repairs, which are more costly on old buildings. And because they haven’t had the incoming capital funding over the past decade to do the basic maintenance they need, now many items simply need to be replaced. “With capital funding, you can do a one-year freeze, maybe a two-year freeze. But the cumulative effect is piling up. We just have so many projects in line,” he said. That includes replacing books, computers, desks, chairs, buses and air conditioning systems. Over the last decade, the district hasn’t had the money to bring playground equipment up to code and has often been forced to remove the equipment instead. To help patch the gap, Flowing Wells has sought additional funding through local bonds, but it still doesn’t solve the need. Next year, Flowing Wells would receive $600,000 under Ducey’s proposal, which would allow the district to pay for some new phone systems, textbooks and maybe desks and chairs. Ducey’s plan would ultimately provide Flowing Wells with $2.2 million in District and Charter Additional Assistance by 2023. And while that’s a start, it falls short of restoring the recession-era cuts to capital funding, Baker said. He said to cover all the projects that have built up over the past decade, it would take a one-time payment of half of what the district is owed — or about $12.5 million, plus the increases Ducey has promised. “We have ongoing costs automatically, but even if we get to a place where we’re meeting the needs each year, we’re still going to have a backlist. That’s why a one-time payment would be so critical. That’s how we’d really get caught up,” he said. “To call this a restoration, I don’t think that will go over well. It’s a good-faith effort to provide a percentage of the money lost due to the recessionary cuts.” Superintendent Gabriel Trujillo, Tucson Unified School District. Originally posted by Tucson.com on 02/03/2018.